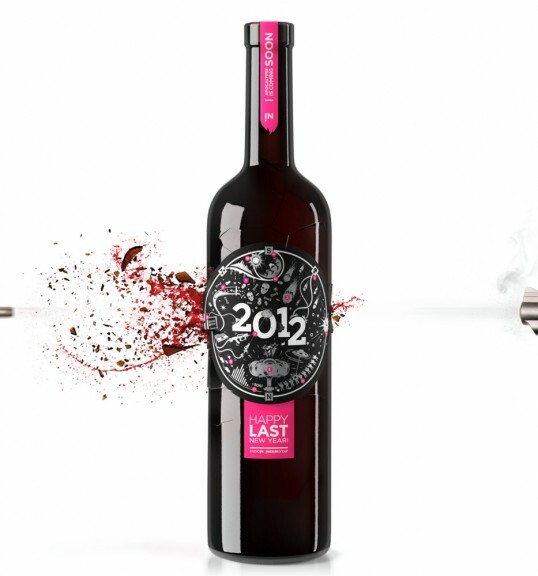 “Upholding tradition, StudioIN has designed a corporate gift for New Year’s Eve. 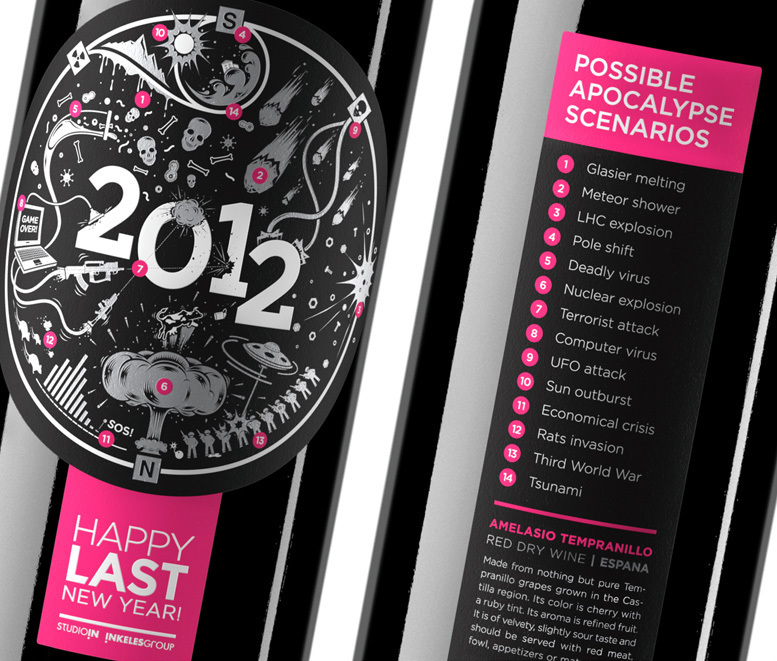 While designing the bottle, we chose a topic that over the past year was among the most discussed: the 2012 apocalypse. The label shows the 14 most ‘popular’ scary scenarios satisfying any taste: from rather predictable natural disasters to those absolutely fantastic. Mmm, first I saw the pink and “fireworks” and thought, “that’s festive looking”, then notice in the close up pictures that the fireworks were actually destruction and apocalypse scenarios. I don’t know about this concept. 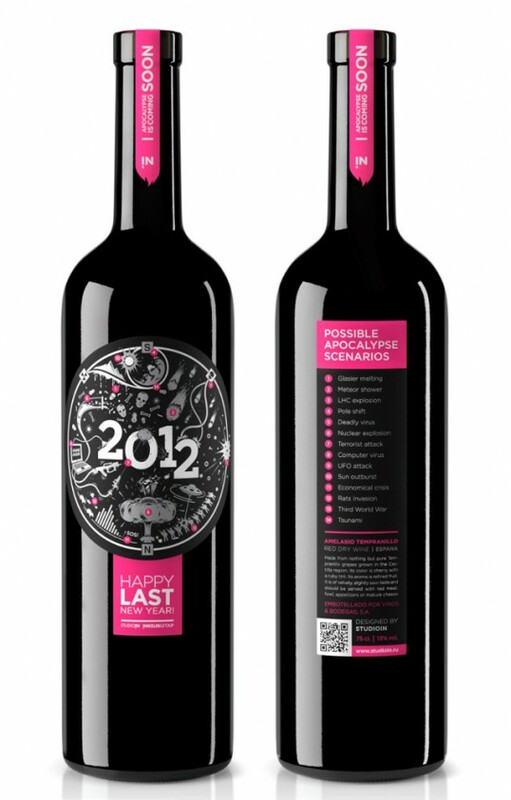 The bottle is pretty though. Awesome concept and design. It has a really nice sense of humor. Nice work, but it’s spelled “glacier”.